Strawberries are one of the most popular berries, not only to eat but to grow in the home garden. They are suitable for growth in the garden and make suitable container plants too. There are a number of varieties available to the gardener with Sequoia strawberry plants a popular choice. 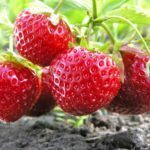 So, how to grow Sequoia strawberry plants and what other Sequoia strawberry information will lead to a successful harvest? Read on to learn more. Fragaria ananassa ‘Sequoia’ is a hybrid berry developed for coastal California. Plants are set in the early spring except when growing Sequoia strawberries in USDA zones 7 and 8 where they should be planted in the fall. They are grown as perennials in zones 4-8 and grown as annuals elsewhere. 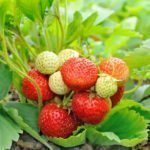 Widely adapted to most any region, Sequoia strawberry plants yield large, sweet, juicy berries from the 6- to 8-inch tall plant, which spreads via one foot long runners. Runners span out from the parent and establish new plants. 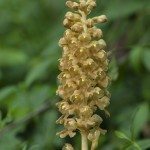 This variety is especially loved by warm climate gardeners and bears fruit for many months. So is Sequoia strawberry everbearing? No, it fruits early and continuously over a three-month or longer period of time. Select a site in full sun exposure when growing Sequoia strawberries. Space plants 18 inches apart in a 3-inch bed or in rows set 3-4 feet apart. If using as container plants, use one to three per large container or four to five per strawberry pot. Strawberries like well-draining, moist, sandy soil with plenty of organic matter. Dig in a broadcast fertilizer prior to planting. Strawberries should be mulched, although it’s not absolutely necessary. Black 1-1 ½ mil plastic is ideal but straw or other organic material may be used. Be sure you are buying certified, disease-free plants and be ready to plant immediately. 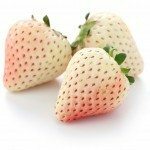 If for some reason you cannot set the strawberries right away, you can keep them wrapped in a refrigerator for a couple of days or “heel them in” singly into a V-shaped trench for a few hours. Ensure both the plants and the soil are moist before setting the berries. Spread the roots out and set them at the correct depth, making sure no roots are exposed. Now that your plants are set, what other Sequoia strawberry care do you need to know? Sequoias should be kept consistently moist but not deluged. The initial broadcast fertilizer along with the introduction of compost into the soil should be sufficient fertilizer during the first growing season. If you live in a region where the berries are perennial, additional fertilizer should be added prior to the successive growing season in the spring.